The 438 Series Multi-Wavelength Meter combines proven Michelson interferometer-based technology with fast Fourier transform analysis in order to measure the wavelength, power, and OSNR of as many as 1000 discrete optical signals. With features such as high accuracy, a measurement rate of up to 10 Hz, and a broad operational range from 1000 to 1680 nm, the model 438 provides the most precise, efficient, and versatile WDM wavelength testing to satisfy the needs of any manufacturing engineer. 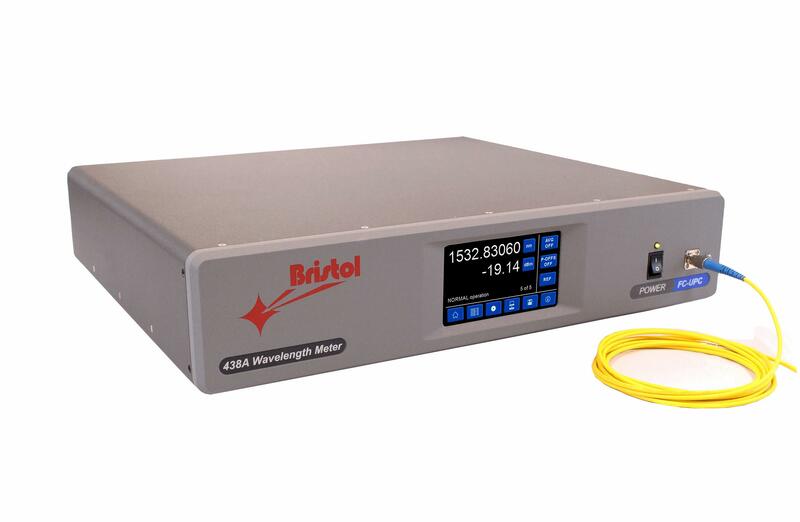 Simultaneously measures wavelength and power of up to 1000 discrete optical signals. Optical wavelength is measured to an accuracy as high as ± 0.3 pm. Fastest measurement rate of 10 Hz for reduced testing times. Continuous calibration with a built-in wavelength standard ensures the most reliable accuracy. Power measured to an accuracy of ± 0.5 dB. Automatically calculates OSNR to > 40 dB. Operation from 1000 to 1680 nm covers the important C, L, T, and O optical bands. For more information on the 438 Series Multi-Wavelength Meter, download the datasheets or visit the webpage.